If you have expertise in this area, please consider editing this section, but do not edit the quoted materials. Click on the discussion tab above for additional information. "G. L. Pease Tobacco has become the hallmark of the new era of tobacco blending. A boutique producer, Greg Pease takes an artisan's approach to tobacco, evoking days gone by, when the great shops all had a blender on hand. It is obvious when talking with Greg that he is passionate about his vocation and feels a deep connection with tobacco. Read on to see it in his own words." -- Jon Tillman. Read Jon's Conversation With Greg Pease. 3 Common Types of Tobacco used in blends. 3.4.1 Is Latakia really cured over smoldering camel dung? 3.8.2 Where Is Virginia Grown? This section is just a stub for now. For now, we highly recommend the following article, "Native American Tobacco Cultivation and Use", by Ben Rapaport. The best place to purchase pipe tobacco is from a tobacconist, regardless of the smoker's experience level. Genuine tobacconists tend to offer a selection of high quality brands from around the world, packaged in vacuum-sealed tins and cans that keep the product fresh and allows it to age for the better over decades. Tobacconists also usually offer their own "house blends" of quality name brands, stored in sealed glass jars that often contain various forms of small humidifiers that keep them fresh and moist. The alternatives include discount tobacco stores, drugstores and convenience stores as well as some supermarkets, gas stations and truck stops, all of them selling cigarettes as their main tobacco product. For the most part, these alternative sources sell limited pipe tobacco brands -- packaged in loose envelopes allowing the tobacco inside to be exposed to air and therefore dry out -- made from inferior tobaccos, some of which are even mixed with shredded cardboard for filler, and all of which contain many artificial additives for preservation and flavoring. The combination of low-grade, often dried out tobacco and additives leads to an unpleasant pipe smoking experience and a greater chance of developing health problems. For pipe enjoyers who live in an area where there are no tobacconists, online and even mail ordering are available from sources that supply every quality tobacco made, and in general at discounted prices for bulk ordering. Pipe smokers with no access to a tobacconist's shop can arrange to receive regular emails or catalogs in the regular mail from major suppliers that also sell pipes and various other products that can become useful or necessary as the smoker's experience level increases. This is a new variety of "pipe" tobacco which has emerged recently (2009) in America, and possibly other countries. It is actually roll-your-own cigarette tobacco, which is being marketed as Premium Pipe Tobacco, to avoid the ridiculously high taxes and regulatory requirements on cigarette tobacco. In a pipe it's like smoking paper, compared to real pipe tobacco. Oddly enough, though, it seems to work fine in cigarettes. On the other hand, it is tobacco which can be smoked in a pipe, and it is you who decides, good or bad, not me or the government. In retrospect, I have tried rolling cigarettes using good pipe tobacco, and although they have the distinct flavor of the pipe tobacco, the flavor and effect is just not comparable to smoking it in a pipe. These are the two broadest subdivisions of pipe tobaccos, although often the distinctions are blurred. Q: I keep hearing about "cased" tobacco. What does this mean? G.L. Pease Answers: There are two things of interest here, namely "casing" and "top flavouring." They are two distinctly different approaches to altering a blend's flavor. Some tobaccos employ both. Casing requires that the tobacco be sprayed with or soaked in a "sauce" that may contain sugar, molasses, liquorice, alcohols like rum or whiskey, and various flavourings, natural or otherwise, depending on the manufacturer. Once the tobacco "drinks" the sauce, it's conditioned in large cylinders that dry it back to the desired moisture level, generally between 12% (on the dry side) and 22% (very moist). Optimal moisture for smoking depends on the smoker, but it's generally in the 13-16% range. The aromas and flavours imparted by casing will remain in the tobacco pretty tenaciously, and will affect the smoke throughout the bowl. Top-flavouring is added by spraying the finished blend with scents and flavourings. This is a much lighter application, and doesn't alter the moisture content of the leaf dramatically. Sometimes called "top-notes," this can be quite ephemeral. Because of the volatile nature of many of the commonly used components, a tobacco left to "air out" may lose a lot of the perfume that's applied this way. Depending on the casing used, tobaccos can become very sticky. Some producers use humectants to maintain a specific moisture level in the final product. You'll hear people talk about PG, or propylene glycol, the most commonly used humectant these days. It's generally spoken of in rather disparaging terms, thought it's not the PG that deserves the condemnation, but the blending houses who use it with reckless abandon. If the tobacco won't dry out, PG is likely the culprit. In small quantities, it does its job well. In large quantities, it produces a sticky, wet smoking, pipe clogging weed that should never see the inside of a pipe. Not all flavoured tobaccos are cased, and casing is not always a bad thing, but the term is used incorrectly more often than not, so a lot of confusion has been created. I only smoke uncased tobaccos. G.L. Pease Answers: In fact, very few tobaccos on the market today are not cased to some extent. Casing is the process of adding sugars and flavouring agents before the leaf is further processed. The raw leaf is soaked or sprayed with a heavy solution of sugars and flavourings like liquorice, vanilla, molasses, tonquin, and so on. The amount of sauce absorbed by the leaf depends on the method of application, the structure of the leaf, and the length of time the leaf is in contact with the sauce before further processing. The leaf is then processed as usual. It can be conditioned and cut, or pressed and held to allow further fermentation. It can be heated, steamed, toasted, or just allowed to “bulk” in the atmosphere. Raw tobacco, especially burley, usually doesn't taste very good, and can have poor smoking characteristics. Very few smokers have ever experienced tobaccos that do not have SOME sort of casing applied. It's not the casing that turns smokers of “pure” tobacco off; it's the excessive use of flavourings. When used delicately, they can enhance the flavour of the tobacco itself. When used heavily, as in most American style aromatic tobaccos, they can overpower the underlying tobacco flavours. Q: So, are your tobaccos cased? A: Some of the leaf we use is cased by the primary processor according to our specifications. In some cases, we do additional casing before blending. So, the answer is yes. It's an important and necessary tool and sometimes a first-step in providing the best possible smoking experience, and that's what it's all about, right? A: Again, almost all tobaccos sold are flavoured. Again, raw tobacco is not always the most pleasant thing to smoke, so it might need a little help. Flavourings can be applied with the casing, or after processing, in which case they are known as top-dressings. The difference is subtle, but important. Top dressings provide specific aromas in the tin, but tend to dissipate or flame off when the tobacco is smoked, or even just allowed to air out. The flavourings in the casing is deeper in the leaf, fully absorbed, and is therefore less ephemeral. As with so many things, the dose makes the poison. Just as a little salt can enhance a dish without making it salty, the right amount of flavouring can enhance the taste of the tobacco without overpowering it. Q: So, you do use flavourings? A: Of course. In addition to subtle flavouring agents in the casing sauces, we do, in some cases, add a top dressing as well. We use natural products. Some of the blends are topped with rum, brandy or whisky. Others have additional natural flavours added. If you're asking the question, we must be doing it right. From the G.L.Pease FAQ, and used by permission. A good aromatic tobacco is lightly topped with a natural flavoring. Aromatics tend to be more moist than non-aromatics due to the flavoring added, which can lead to problems smoking them. Some more masterful aromatic blends manage to avoid this. In the case of a moist or wet blend, problems can also be avoided if care is taken in the preparation of the tobacco. This can include setting a portion out to dry a little, and taking any remaining moisture into account when packing the pipe. See Pipe Packing and Smoking techniques. Q: Ribbon, shag, flake, plug, rope, disks...What does it all mean? G.L Pease Answers: "These refer to different cuts of the finished product. "Ribbon" cut tobacco is generally between 1/16" and 3/32" wide, and forms "strands" of varying lengths. "Shag" is just a very fine ribbon. In the US, "flake" refers to a small, irregularly shaped cut, with no dimension exceeding about 1/8" or so. But, there's another connotation, which will be presented shortly. "Plug," or sometimes "bar," is tobacco that is compressed under heat, steam and pressure into a large block. These blocks are sliced into the smaller bars or plugs. Tobacco in this form is very compact, and stores well. Plugs can be sliced thinly to form the other kind of "flake," also known as slices. Tobacco can also be spun into a "rope "or "lanyard." These can be sliced into thin, coin-like disks; the final product is sometimes called "spun-cut." Common Types of Tobacco used in blends. Burley tobacco is a light air-cured tobacco used primarily for cigarette production. A low-sugar, high nicotine, slow-burning tobacco with a very subtle flavor. In pipe tobacco, burley is often used as a base for aromatics or to modify the burning characteristics of a blend. In the United States it is produced in an eight state belt with approximately 70% produced in Kentucky. Tennessee produces approximately 20% with smaller amounts produced in Indiana, North Carolina, Missouri, Ohio, Virginia and West Virginia. Burley tobacco is produced in many other countries with major production in Brazil, Malawi and Argentina. In the U.S., burley tobacco plants are started from pelletized seeds placed in polystyrene trays floated on a bed of fertilized water in March or April. Transplanting begins in May and progresses through June with a small percentage set in July. Producers must contend with major diseases such as black shank and blue mold and insects like aphids, hornworms and budworms. Plants are topped by removing the developing flower head at approximately 60 days from transplanting and treated to prevent the growth of side shoots called suckers. Topping allows energy that would have produced a bloom to promote leaf expansion. At approximately four weeks after topping the tobacco is stalk cut using a knife that is shaped like a tomahawk. Each plant is speared, spiked or spudded (the terminology depending on the geographic location) onto a stick topped by a metal spear, spike or spud that fits over the stick. Each stick will contain five or six stalks. Sticks of green cut tobacco are most often allowed to field wilt for three or four days prior to hanging in a barn. Tobacco is allowed to air cure for eight or more weeks turning from the normal pale green to yellow and then to brown. Burley that cures too quickly will retain some of the yellow pigments as well as chemicals that normally break down with a slower cure. The quality achieved by U.S. burley producers is primarily due to natural curing conditions. Once fully cured burley is taken down, sticks are removed and leaves are stripped from the plant into grades by stalk position. Leaves are baled by grade and taken to an auction warehouse or to a receiving station run by a tobacco manufacturer or leaf dealer. Sources: Wikipedia, and the A.S.P FAQ. G.L.Pease on Burley: "Burley is quite the chameleon! It can hide in a blend, taking on the characteristics of the dominant tobaccos around it, while providing increased body, a heavier mouth feel to the smoke. My guess is that you'd be surprised to learn all the myriad places Burley can be found camouflaged, lurking under cover of its surroundings! And, all Burley is not created equal. Just like any other leaf, there's good and there's not so good. So, it's unwise to condemn all Burleys, as so many do, just because of a bad experience with inferior leaf." From the G.L.Pease FAQ, and used by permission. Cavendish is more a process of curing and a method of cutting tobacco than a type of it. The processing and the cut are used to bring out the natural sweet taste in the tobacco. Cavendish can be produced out of any tobacco type but is usually one of, or a blend of Kentucky, Virginia, and Burley and is most commonly used for pipe tobacco and cigars. The process begins by pressing the tobacco leaves into a cake about an inch thick. Heat from fire or steam is applied, and the tobacco is allowed to ferment. This is said to result in a sweet and mild tobacco. Finally the cake is sliced. These slices must be broken apart, as by rubbing in a circular motion between one's palms, before the tobacco can be evenly packed into a pipe. Flavoring* is often added before the leaves are pressed. English Cavendish uses a dark flue or fire cured Virginia, which is steamed and then stored under pressure to permit it to cure and ferment for several days or weeks. There are several colors, including the well-known Black Cavendish, numerous blends, and a wide range of flavors. Modern blends include flavors and ingredients such as cherry, chocolate, coconut, rum, strawberry, vanilla, walnut, and bourbon. Cavendish tobacco originated in the late 16th century, when Sir Thomas Cavendish commanded a ship in Sir Richard Grenville's expedition to Virginia in 1585, and discovered that by dipping tobacco leaves in sugar it produced a milder and more mellow smoke. Dark Fired Kentucky is featured in several blends, such as Mc Baren's HH Old Dark Fired and Peter Heinrich's Dark Strong, and G.L. Pease's Cumberland. It is also used as a component for many other blends where it serves a variety of purposes. It is a dark tobacco, similar to Burley that is cured in barns over an open fire. This gives it a smokiness, but one that is earthier, less woodsy, and more subtle than in Latakia. It has a relatively high nicotine content and burns well with good body. Latakia (Arabic: تبغ اللاذقية) is a specially prepared tobacco originally produced in Syria and named after the port city of Latakia. Now the tobacco is mainly produced in Cyprus. It is cured over a stone pine or oak wood fire, which gives it an intense smoky-peppery taste and smell. Too strong to smoke straight, it's used as a "condiment", especially in English and some American Classic blends. Is Latakia really cured over smoldering camel dung? Questions and Answers From G.L.Pease on Latakia: "The only smoldering dung is that used to fuel the myths about Latakia. I wouldn't really care if the myth were reality, since I really love the stuff, but, it's important to understand that a variety of herbs and hardwoods are used in the processing of Latakia, not camel dung. No matter how many times I say this, the myth will probably be promulgated until the Sun stops revolving about the Earth... For more information on the wonderful, smoky weed, read my article, A Tale of Two Latakias. Q: What is generally meant by "English," "Scottish," and "Balkan" style? A: The definitions of these terms seem somewhat fluid, apart from the fact that all tobaccos bearing these appellations contain Latakia. To my mind, an English blend has a significant portion of Virginia backing up the Latakia, and orientals serve as a spice. A Scottish blend is similar to an English, with less Latakia, a more dominant Virginia character and, perhaps, little or no oriental leaf. 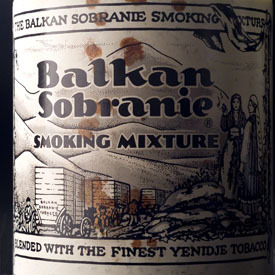 A Balkan, on the other hand, is predominately based on oriental tobaccos and Latakia, and just enough Virginia is used to provide structure and balance. I don't claim this is right but it's the way I view things. Q: Which of your Latakia blends is the "fullest?" A: In order of decreasing "fullness," a difficult subjective description to nail down, I'd rank them, Abingdon, Odyssey, Blackpoint, Charring Cross, Raven's Wing, Samarra, Renaissance, Kensington, Caravan, Ashbury and Piccadilly. Of course, this is NOT the order of decreasing Latakia. Abingdon does have the most, followed by Odyssey, Charing Cross and Raven's Wing, if you add the percentages of the Syrian and the Cyprian. Piccadilly has the least. It's not the percentage of any particular ingredient that matters, but the interplay between the intensities of the flavors and aromas. Caravan has the highest percentage of Oriental tobaccos, which make quite a bold statement. Odyssey, Abingdon and Charing Cross are monsters of Latakia goodness. They're huge, but still quite complex, and each presents a surprising level of subtlety underneath its powerful exterior. Q: I've been smoking Virginia blends, and want to experiment with Latakia, but I don't seem to "get" them. What's wrong? A: Latakia blends can be truly remarkable, but it does take a little time to understand them, and some of the popular "English" blends may not be the best way to get an education. To start with, stay away from flavored Latakia mixtures, at least at first. The added flavors mask and hid the subtle beauty of some of the more delicate flavors of Latakia and oriental tobaccos. Stick with something that has a lot of natural flavor present, and smoke slowly. Try letting the pipe go out for a while, and then coming back to it. This intensifies the flavors, and gives your palate a chance to zero in on what you are going to be looking for in future smokes. It takes time for new tastes to be incorporated into your taste memory, which is an essential part of really enjoying any tobacco type. The same thing is true when going from Latakia blends to Virginias. Give your senses time to "get educated," and the rewards will be more thorough enjoyment of your pipe in the future! "In the morning, our leaf processor's warehouse containing nearly all of the available Syrian Latakia that was brought into the country burned to the ground. A few pounds remain here and there, but of literally tons of this sublime leaf, all that is left is ashes and dust. As bad as this is for us, it's far worse for the importer, who still owned the majority of the leaf lost. The business impact is obvious. All of the Syrian Latakia containing blends, from both GLPease and Cornell & Diehl, can not be produced. Whatever is currently on the shelves is all that there is, or will be in the forseeable future. Trade relations with Syria are somewhat sensitive at present, and while we're working through every possible channel to replace what was lost, we have no way of predicting when we'll be able to get another shipment." By definition, "Orientals" are those tobaccos indigenous to the eastern Mediterranean region, including the various "Turkish" tobaccos and Latakia. 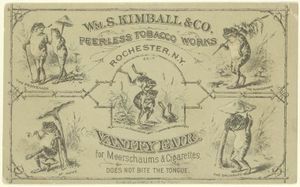 An "Oriental blend" contains at least one and often several of these tobaccos. Most of this information comes from the ASP posts of Greg Pease, and Jon Tillman's Tobacco Reviews database. Additional material comes from the ASP posts of Michael Lindner, Paul Szabady, Bob Weiske, Lance Sang, Terry Freeman, Terry McGinty, Michael Lovell, Mike Gervais, Robert Crim, Mike Cox, Mark Peeples, J.W. Davis, Pascal Essers, and Ed Anderson. Oriental, or Turkish, is a spice tobacco known for its nutty, somewhat "sweet and sour" flavor. It's a main component in English blends, along with Latakia (which is itself an Oriental that's been flavored with smoke). Oriental tobacco plants characteristically have a great deal of small leaves. The finished product ranges in color from yellow to brown, and is strongly aromatic. Its smell is reminiscent of used horse bedding, which could possibly explain why it's often mixed with Latakia. Turkish varietals, unfortunately, are no longer available, even to professional blenders. Cigarette companies snap up most of the Turkish leaf production, and the remainder is made into a generic Turkish blend. This is the Oriental tobacco (often referred to as "basma") that one finds either in bulk, or in ready-made blends. Another "spice" tobacco grown only in St. James Parish, Louisiana. Perique is subjected to extreme pressure and is allowed to ferment as it is cured, which results in a very distinctive tobacco. The following information comes from the A.S.P FAQ on Perique, which credits the Nichols and Brown home page, with additional information from the Perique web site by Gerard Faucheux, the New Orleans Times-Picayune (thanks to ASP member Daniel D. Marsalone), and the archived ASP posts of Irwin Friedman, Ray Newton, and Robert Holmes. What Are the Characteristics of Perique? Perique is a spice tobacco, usually used in Virginia blends. It has a dark, oily appearance, and a taste of pepper and figs. Its flavor is very strong, so it isn't usually found in high percentages in a blend. It can be smoked straight, but isn't intended to be. Its role as a complement to VA's is not just because of its flavor. Being acidic, it tends to alleviate alkaline tongue bite, which is so often a problem with Virginia tobacco. The process by which this tobacco is produced predates Columbus. The Choctaw Indians of (what would later be) Louisiana would make it by pressing it into hollow logs with a long pole, and securing it with weights. After the Acadians (Cajuns) settled the area in the mid-1700's, the Choctaws taught this process to a French colonist by the name of Pierre Chenet. The finished product was referred to as Perique, a Cajun variation on the word "prick". This referred either to the phallic shape of the carottes (the tight bundles of market-ready Perique), or Chenet himself, as it was his nickname! (Perique is a widely used familiar variation from Pierre in France). It is also (Perico) a familiar variation in Spanish from Pedro. Where is Perique Grown? The only place in the world Perique can be grown is in a small section of Louisiana called St. James Parish. Inside St. James Parish, the best location for growing (and the only place it's grown now) is a very small area called Grande Pointe Ridge, which can be found in the town of Paulina. This is due to both the climate, and the unusual soil of the area, which is referred to as "Magnolia" soil. Nourished by the swamps that surround Grande Pointe, Magnolia is a dark and highly fertile alluvial soil. The actual strain of tobacco can vary, although tobacco that isn't native to the soils of Louisiana doesn't yield a good product. Supposedly the most common strain used with Perique is something called "red burley". St. James Perique is extremely rare, so the tobacco is produced elsewhere to meet demands, though without the same results. Kentucky Green River Burley is most commonly used to make Perique. This particular version is the Perique that most pipe smokers are familiar with. At harvest time, the wilted leaves of the tobacco are hung up to dry for two weeks, stripped of hard veins, and packed into bundles (called torquettes). These torquettes are put into barrels under extreme pressure, and allowed to cure in their own juices (which collect as run-off at the top of the barrels). Over the course of many months, these bundles are periodically "turned", and then placed again under pressure in the barrels. Without any air to interact with the tobacco, Perique ferments anaerobically, producing the distinctive taste. It was close! But things look better. Because Perique grows in a very small area within the St.James Parish in Louisiana, hurricanes and other variables in the weather can effect the entire crop for any given year. The economy of the region is also a factor. Perique farmers have passed their lands and knowledge on to their families for 150 years, but farming Perique is very labor intensive, and the profits are small. Many in the younger generations of these farming families have taken jobs in nearby plants. Perique is now farmed by only a few small operations between 1/4 acre and 10 acres. Only Percy Martin, the largest producer processes the crop commercially, and he is under contract with the Santa Fe Natural Tobacco Co, which buys all of his tobacco for cigarettes. A handful of the remaining producers do some preprocessing, but the only other producer of Perique has been the L.A. Poche Perique Tobacco Co., which came close to closing in 2005. At that point it looked bleak for Perique until Mark Ryan and Steve Coley stepped in, forming a new company, Coley Ryan Tobacco Enterprises, which stepped in and bought L.A. Poche. They had lots of help from Neal Poche, and Dudley LeBlanc, who is the second largest grower of Perique after Martin. With Poche and LeBlanc's help, Ryan and Coley learned the unique processes, and have committed themselves and their company to to the future of Perique. It would appear that Perique's future is as bright as it has been for some time. (see Pipes and Tobacco Magazine, Summer 2006 issue, page 40). Where Can I Buy Perique? Interview with Mark Ryan, owner of L.A. Poche Perique Tobacco Co. Despite the name, Virginias are grown in numerous locales. There are several varieties of Virginias, but all are characterized a relatively high sugar content. Virginias are often used as the base tobacco in blends, but they are smoked "straight" as well. Straight Virginias undergo changes in flavor as they age, similar to fine wines. Lighter in body than Oriental blends, they have a subtle complexity of flavor that makes them a favorite of many experienced smokers. Much of this information comes from the ASP posts of Greg Pease and Paul Szabady, and from Jon Tillman's Tobacco Reviews site, with additional material from the ASP posts of Chase Turner, Bear Graves, Sykes Wilford, Steve Thomas, Mike Jacobs, Greg Sprinkle, Tapio Pentikainen, Art Ruppelt, Tarek Manadily, Michael McCormick, George Miller, Joshua Rosenblatt, Neal Mille, and Ray Roewert. VA's are complex and delicate. When smoked poorly, they can taste like hot air, but with good smoking technique they can span a range of tastes, and are usually sweet, tangy and fruit-like. VA's are more prone to cause tongue-bite than any other tobacco, so there are a number of reasons to practice good technique with these blends. Unlike most tobaccos, VA's improve toward the bottom of the bowl. A slow smoke will stove the bottom layers of tobacco, deepening the flavors and reducing the chance of tongue bite. What Are The Different Varieties of VA? Virginias are referred to in a number of different ways. A "bright" VA is named as such because it's taken from the top of the plant, where the highest quality leaf is. VA's can also be referred to by their colors. The most common color grades are lemon, golden, and red. Ignoring a great many factors (such as climate, soil, and time of harvest), the color of a VA relates to its sugar content. Tobacco that is cured longer (and is thus darker in color) will be less sweet than a tobacco cured quickly. Stoved VA's are also referred to separately. Stoving (the process of literally cooking the tobacco) darkens a tobacco and changes its taste, usually reducing tongue bite. Incidentally, VA's with the most sugar will darken the most. VA's are grown all over the world. In the United States, the various Virginia-producing regions are referred to as "Belts", but this tobacco can be found in countries like Canada, Brazil, India, China, and the African countries of Tanzania, Malawi, and especially Zimbabwe. This last country, in fact, accounts for much of the world's VA production. As stated before, location (soil, climate, etc.) will greatly affect the flavor and character of any tobacco. It is not necessarily true, though, that the best VA's come from the United States, or from the state of Virginia. It is often said by pipe smokers that they will dedicate certain pipes to certain tobaccos. This makes some sense in that tobaccos do leave some residual taste (sometimes called a "ghost"). Many smokers will not go so far, but might dedicate pipes to certain blends or types of tobaccos. One set of pipes for, say, Cavendish blends and another set of pipes for aromatics and Orientals. Certain pipes seem to smoke better with certain tobaccos, certain blends or certain cuts. Along those lines, Tarek Manadily has written an interesting article called Pressed Tobaccos and Flake Pipes. It is commonly held that briar can alter the taste of tobacco, and that a clean clay pipe should be used with a first-time trial run of any tobacco, in order to derive the purest taste. Others believe Brylon gives a more pure taste. Many pipes are 'pre-caked', meaning they have a coat of charcoaling in the bowl. These may be the best briar pipes for beginners; a fine brand such as Comoy's has just such bowls. Fred Hanna has written an excellent article for The Pipe Collector that addresses the concept of tasting tobaccos such as we might approach a fine wine. Excellent reading and re-published here by permission: Tasting Pipe Tobaccos: Should we Become more Disciplined about this? By Fred Hanna. It may be interesting to blend one's own tobacco after having experienced the staggering number of brands and blends. It is claimed Bing Crosby had a 'drugstore' blend which was considered superlative. Any tobacconist or pipe-lover can assist in this endeavor: it takes a practised hand and a bit of equipment for best results. Q: Will all tobaccos improve with age? A: Generally, any tobacco with plenty of natural sugars will age wonderfully. Virginia is always a prime candidate, but so are blends with lots of Oriental leaf. Though Oriental varieties don't have as much sugar as Virginias, they do contain enough to go through fermentation in the tin, and will improve over time. Q: Isn't "fresh" tobacco better? A: Unless you go to a plantation, or grow your own, you'll never see "fresh" tobacco. By the time it gets into the hands of the blender, it's been cured, sweated, fermented, and allowed to "settle down." Once it's blended, the finished product is allowed to meld for a time before it's put into the tins. Then, the real magic of the aging process begins. While a well conceived blend will be delicious almost immediately after blending, time in the tin will make a noticeable change, adding complexity and smoothing out any rough edges. Q: How soon is blend "right" for proper smoking? A: This is dependent upon several factors, including storage method, tobacco processing methods and personal taste. While certainly not at its best, a well conceived blend should smoke well very shortly after it's blended. If it's not good when it's young, it will never become great. Waiting a couple months, or even more, will allow the various components of the blend to "marry," to come together into a cohesive whole, rather than present themselves more as individual aspects of the blend. 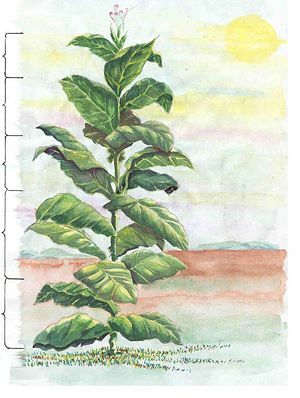 Within one to five years, the tobacco will really begin to shine. Beyond this time frame, the changes are much more gradual. While the blend may continue to improve for years, even decades, the changes will not be as dramatic as they are in the first few years. Some people enjoy the exuberance of young blends, while others prefer the mature complexity of tobaccos that have been aged for long periods. I recommend experimenting to see what suits you best! Q: How long can I expect a blend to improve? A: It really depends on the blend. A full Virginia will continue to improve, though at an increasingly slow rate, over many decades. Most English style tobaccos can go 20-30 years before they begin to go "over the hill." Balkan styles have a shorter life expectancy. Of course, storage conditions will play a part. It the tobacco is cellared at a constant, cool temperature, it will last longer than if it's stored in higher temperatures, or with lots of temperature variations. Q: What's the best way to store tobacco for aging? A: Ideally, tobacco should be left in its original sealed tin, and stored in a cool, dry place. It's important to realize that storage in plastic bags and the like, while allowing the tobacco to "meld," will prevent the true aging process. Plastic bags are permeable to small molecules. (Water, while not a very large molecule, is polarized, and has a hard time penetrating the barrier formed by the plastic.) If you can smell the contents through the bag, you're losing flavor and aroma! Mason jars, bail-top jars and so on are good candidates for long term storage, as long as you can resist the urge to open them to "check up" on what's happening. Aging tobacco must be left alone, with no gas exchange allowed. Once an aged tin is open, the contents should either be smoked relatively quickly, or transferred to a jar with a good seal. Q: What about vacuum sealing? A: Vacuum sealing is great for vegetables and coffee, but is pointless for tobacco. Tobacco needs some air to be locked in with it , at least to begin with, in order for it to age. A perfectly vacuum sealed container will likely keep the tobacco "fresh," but it may not really age the way we expect it to. I'm more than a little suspicious about the heavy plastic "bags" used by most of these machines. They hold moisture in just fine, but they really don't prevent gas exchange, and I'm not sure they're truly able to stand the test of time. Tins are best. Jars are a close second. The special high barrier bags we used for a while for our 8oz packaging have several layers, each designed to be impenetrable to a different sort of molecule. I've conducted extended tests with this material, and am satisfied that the tobacco will age nearly, if not as well as in the tins, at least for the short term. They are only slightly evacuated to facilitate packing and sealing. For best long-term aging, though, I still recommend tins. Q: I've read about heating the tobacco in a microwave. Is this a good idea? In a word, NO. Heating tobacco that you like is not a good idea, as it will change the character of the blend. Blenders do it in specifically controlled ways - stoving, panning, steaming - to alter the characteristics of the leaf before, and sometimes after blending. But, if you like the way the tobacco “comes together” now, you may be less than happy if you nuke it. In some cases, you might notice an improvement, in others, the result will be anything but satisfactory. Further, there just is no reason to do this. Sterilize your jars, fill them up, and put the caps on. What purpose will heating serve? The jars will seal fine without the “pop” of the slight vacuum that results from cooling. Q: So, I've opened an aged tin. Now what? A: This is a little tricky. Once the seal of the tin is broken, the delicate balance present in that little ecosystem is permanently altered. You can't go back! So, once that tin is open, either smoke its contents fairly quickly, or transfer it to air-tight containers, like bail-top canning jars. The aging process from this point on will be different, but the tobacco will remain in fine condition for your enjoyment as long as it's kept in good condition. (The plastic lids on my tins will keep the tobacco in find shape for anywhere from a couple weeks to a few months, depending on the ambient temperature and humidity. Just keep an eye on it!) This is the reason, by the way, that I cellar 2-oz tins, rather than the 8-oz ones. Once I open that tin, I want to smoke its contents as quickly as possible to get the maximum enjoyment from my years of patience. It's like a fine wine - cellar it for a long time, but drink it fairly quickly. Q: What about plastic bags, like zip-locks? A: While plastic bags can form a reasonably good barrier to moisture, keeping the tobacco ready to smoke, the polyethylene that is used for most plastic bags is quite permeable to gasses. You can smell tobacco through the bags, after a time, and all that “aroma” that's getting out is stuff that you really want to keep in! For my 8-oz bags, I use a high-barrier film that forms a barrier to both water and gasses. These will not only keep the tobacco at the perfect smoking moisture, but will also allow aging to take place. This just won't happen with plastic bags, even those that are used with kitchen heat-sealing machines. For short term, like keeping an ounce around for smoking, plastic bags are fine. For long term storage, fuggedaboutit. Q: Which of your blends are best suited for aging? John Seiler has written an excellent article on Pipe Tobacco Pressing at home. Please add links to blenders, or informative tobacco sites. This page was last edited on 31 October 2018, at 11:10.